Hire a moving company in Indianapolis with more than 70 years of experience. Whether you’re moving in the Indianapolis area or getting ready to move to another state, Wheaton moving agents can help. Looking to get started? It’s easy. Fill out the form to get your free ballpark moving estimate. Want more information about moving in Indiana? Wheaton World Wide Moving is a national Indianapolis-based moving company with the fourth largest van line network in the United States. 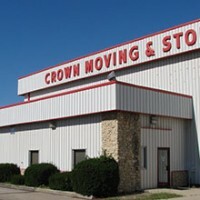 We have a vast network of moving companies across the country and around the world, including right here in our home state of Indiana, the Crossroads of America. If you are moving to or from Indianapolis, our Wheaton agents can help you with all aspects of your move. Whether you are relocating for work or moving due to life event, Wheaton will focus on the all of the details of moving, freeing you up to focus on those things more important to you. Whether you are moving cross-country or to a neighboring state from Indianapolis, our Wheaton moving agent is ready to plan your move. From the moment you receive your initial quote until the last box is unpacked, a dedicated Wheaton Move Manager will assist you every step of the way. The move manager will act as the single point of contact throughout the process in order to ensure your move is as streamlined and professional as possible. When you are ready to start the moving process, request a free moving quote or give our professional moving agent a call. Wheaton is happy to assist you with planning your long distance move. Get started today with a free moving estimate.